Click now to try our service without any obligation to buy. Most other companies make you pay up front before you have seen what you're going to get. We don't. You can try our service free of charge. We have nothing to hide. Only after you have checked that our service gives you what you want in your Will, and only after you have viewed a Summary of what will appear in your Will, and only after you have viewed the first few paragraphs of your actual Will, will we ask you to pay. What's more, if you find anything legally wrong with your Will and it's our fault then we will correct the error and give you a 100% refund. We do not confuse you with complicated forms. Instead we ask you simple questions with straightforward multiple-choice answers. Based on those answers, we then ask you to enter only the information that we require. The result is that you can write the Will that you want accurately, easily and quickly. Click now to find out for yourself without any obligation to buy. Once you've paid for your Will and/or LPA, you can make UNLIMITED re-writes of your document(s) for FREE for 60 days. During that period, only if you want us to check your amended document(s) do we make a charge - and even then it's only £9.99+VAT per document. Additonally, once the 60 day period has expired all subsequent re-makes of your documents will receive a 20% discount - with further re-writes again being free for another 60 days. Solicitors were involved in the design of this site and your Will document is generated from the same database of words and phrases used by lawyers up and down the UK. During the design process, every conceivable permutation of Will which can be produced from our Intelligent Online Questionnaire © was 'pre-checked'. As an extra safeguard for 100% peace of mind, every Will purchased from this site is individually checked by a professionally qualified Willwriter. This service also extends to all Lasting Powers of Attorney purchased. Our Professional Checking Service takes the form of an email that you will receive within 2 working days of the purchase of your documents. This email will EITHER give your documents the 'all clear' (in which case you can use the versions you downloaded at purchase time) OR suggest alterations to be made – with a direct facility to contact us if you require further clarification. As an optional extra, if you have purchased our Printing & Binding Service, we don't suggest alterations to be made. Instead, we make them for you, and generate and email (and later post) to you the corrected documents. Finally, if you want us to check your document(s) after signature then with our Free Attestation Checking Service we give you an email address to which you can send the signed page(s) and we will email you back within 2 working days to tell you whether or not the signing/witnessing process appears to have been correctly carried out. Our system is quick - really quick. Once our questionnaire has loaded up (which takes only a few seconds) response time is immediate. You can break off at any time, save what you've entered, then come back later to continue. Once you've completed and paid for your Will, you get it straight away – both as an immediate download and in an email. You can have your Will printed - and ready to sign in the presence of 2 witnesses to make it legal - in just a few minutes. "I have been delighted with your service and have been telling all my friends and family about it! Thank you." "Just writing to congratulate you on the excellent will-writing service which you provide, and I have just used. The software you use is awesome and you make what could be a complicated task very easy. I will be pleased to recommend your service to others. " - Mr A.G. Hythe, Kent. "A very professional and friendly service. We are very happy with the Wills you have created - and we are busy trying to get our friends to use you !" - R. & A.B. Manchester. "An excellent service - quick, comprehensive, efficient. We have found the supporting documentation most helpful. Thank you for enabling us to sort out this important task in our lives." - Mr. & Mrs. K.F. Cambridge. When you use our service, your details are entered over a secure SSL link and are stored on our system using sophisticated encryption to ensure that your data is 100% safe. We will never reveal, give, or sell your details to any third party without first obtaining your permission. And you can ask us to remove your details entirely from our system at any time. Finally, once you've made your Will with us and signed and witnessed it, you'll have the peace of mind of knowing that if you lose it, you can re-print and re-sign it at any time. We are Members of the Society of Willwriters - the UK's most respected regulatory body for the Willwriting Profession. You are dealing with an approved and professional organisation. If you have a grievance with us and we do not answer it satisfactorily, you have somewhere to take it further. Your LPA document will be supplied in electronic PDF format, fully completed on your behalf and requiring only the signatures of you, your witnesses, and your Attorneys. Please also read our note at the bottom of this page regarding the cost of registration of an LPA. The signing process can differ according to what is contained in the LPA, but this will not be a problem for you because we will give you detailed and personalised step-by-step instructions for what to do e.g. The instructions are so precise and easy to follow that we have yet to hear of one of our LPAs being refused registration. Please read our note at the bottom of this page regarding the cost of registration of an LPA. We give you direct access to all of the documents you will need over the lifetime of your LPA, including all of the documentation required to register it. The questionnaire is a simple multiple-choice format and allows you to complete either just an LPA-PA, or an LPA-PA plus an LPA-HW. When you've completed the questionnaire, all you then have to do is check the Summary, Pay, Download, Print and Sign. When you've completed the questionnaire we show you a simple plain English summary of your LPA, so you can check that what you've entered corresponds to what you want the document to say. If you find something wrong, you can go back and correct it. Alternatively if you've no more time to spare you can save your details and come back later. At this point you will still not have been asked to pay anything. A Lasting Power of Attorney - Property & Financial Affairs (LPA-PA) allows you to appoint somebody to look after your money and property and other related affairs if for any reason you become unable to manage them yourself e.g. A Lasting Power of Attorney – Health and Welfare (LPA-HW) allows you to appoint somebody to make personal health and welfare (including, if you specify in the LPA-HW, life-sustaining treatment) decisions on your behalf if for any reason you become unable to make them yourself e.g. Don't worry if you only want an LPA-HW – you can choose which documents to purchase at the end. As current legislation stands, if somebody has to go into long term care the Local Authority has the power to seize all but £23,250 of their assets as a contribution towards the cost of that care. Up until April 2015 that included being able to force the sale of their home, but from April 2015 (under a new Universal Deferred Payments Scheme, intended to prevent anyone from having to sell their home in their lifetime to pay for residential care) local authorities will instead be able to take an interest-bearing charge on the property of an individual against the cost of care fees, to be repaid after the individuals death. Interest will be chargeable throughout the lifetime of the deferred payment. So, whilst your home will not be sold while you are alive, its value will still be used to pay for your care costs - preventing you from being able to pass it on to your loved ones. This issue is real: Official government statistics show that the some 69,000 homes each year have their equity used to fund long term care (which is equivalent to one home every four minutes). If you are a couple and you jointly own your home then your home is at risk of being taken from your loved ones once you have both passed on, sold, and used to pay for the costs - plus interest - of your long term care. However, you can easily protect at least 50% of your home by making a pair of Protective Property Trust Wills. Thats all there is to it. If you are interested in the detail of how it all works, please read How do Protective Property Trust Wills work? further down this page. Your Wills will be straightforward Mirror Wills that include a Protective Property Trust. You will also be able to specify gifts and/or legacies, state who you wish to inherit your Estate, and appoint Guardians for any children you have under 18. In other words, your Protective Property Trust Wills will cover your entire requirement for a Will and not just the Property Protection angle. For your Property Protection Trust Wills to work, you must jointly own your property as Tenants in Common. If you need to take action then we will lead you through the simple process of creating the necessary documentation (note if this is necessary there is a further £39.99+VAT charge for this part of the service). Click now to draft a Single Will without any obligation to buy. Click now to draft a pair of Mirror Wills without any obligation to buy. Select this option if you are not quite sure which type of Will you want. On August 17th 2015 a new European regulation came into force. The new regulation is technically called Regulation 650/2012 but is more commonly known as Brussels IV. This regulation allows you to now override the forced heirship succession laws in an EU country in which you hold assets and instead have the succession laws of the country of your nationality apply. 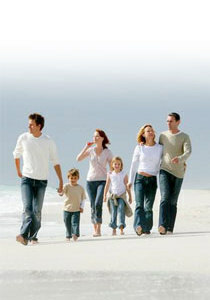 All new Wills made at tenminutewill.co.uk allow you to take advantage of this new regulation. Click here to login if your details are already stored with us. Following the Chancellor's announcement of a doubling of the Inheritance Tax threshold for married couples and civil partners in 2007, there was no longer any IHT advantage to making a Discretionary Trust Will if you were married or in a civil partnership, because what you were trying to do - i.e. use both IHT thresholds - now happened automatically. The IHT advantages for couples who were not married or in a civil partnership of having Discretionary Trust Wills (i.e. making use of both IHT thresholds) remained because the new legislation had no effect on the IHT threshold for un-married couples. Therefore we recommended that there was no immediate need to change if you were married and had made Discretionary Trust Wills or in a civil partnership, and that there was still a benefit to making Discretionary Trust Wills if you were not married. HOWEVER, now that the Residence Nil Rate Band (the RNRB - see our Inheritance Tax page) has come into effect then making Discretionary Trust Wills actually becomes counter-productive for IHT. This is because the RNRB only applies where the property is left on trusts where the descendant is treated as owning the asset. With a Discretionary Trust this is NOT the case: any benefit (or ownership) is at the DISCRETION of the Trustees. This means that if you make Discretionary Trust Wills then you will LOSE your use of the RNRB. We therefore no longer recommend Discretionary Trust Wills and strongly advise all of our clients who have made Discretionary Trust Wills to change them to normal Mirror Wills.